It only seems like yesterday that I was complaining that Firemint never really expanded on the core idea behind Flight Control. Oh, wait a minute, it was yesterday. Ah well. Flight Control Rocket is a massive updating on the formula, and on a basic level, it works a treat with a rocket load of new ideas and innovations to be found in this space-themed sequel. Even more playable than the original, the space setting has been honed to perfection, yet there is something that does spoil the party somewhat. The whole thing has been riddled with in-app purchases. Before we get to that, lets concentrate on the good bits, as there is plenty to love here. The first thing that hits you is the brilliant new music. If you thought the fantastic original tunes could never be bettered, then you are in for a treat as the new Sci-Fi music is brilliant. The basics of the game remain the same, as you must draw lines to guide different craft to like coloured landing pods and strips. The spacecraft will blindly follow the route you traced, even if it means crashing into another ship, so you must plan each move carefully and be ready to react quickly to difficult situations that threaten to ruin your best laid plans. This sequel is definitely trickier than the original, although the addition of lives will help newcomers to get used to the game. A continue feature is also included. 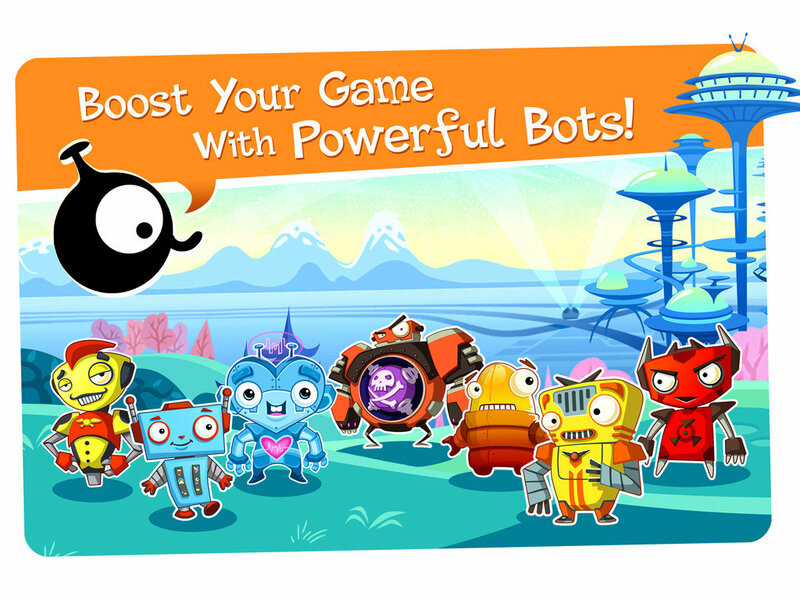 This new game brings a vast variety of new craft, each with different abilities and powers. Whereas the aeroplanes in the first game were only differentiated by their speed, here there are some genius creations. From ships that split in two when touched, craft that shoot out other craft when locked on, and others that move in a long formation, to yet more that arrive on a mothership and must be guided from ship to ship, there is a lot new here, and all of it is good. You can also employ some helper robots to change up the gameplay, slowing down certain craft, or randomly boosting your score, for example. These robots can be leveled up with use, and can be supercharged with a crystal, but do need batteries to keep going. There are three modes included, a simple tutorial, an endless mode and the brilliant Intergalactic Odyssey, where you will no doubt be spending most of your time. Here you must journey through space, surviving stages that get ever more difficult, and completing great little bonus levels that break up the gameplay nicely. The main problem with the game is the coins. You can either earn coins in the game at a slow rate, or buy them with an in-app purchase, the cost of which can be very high indeed. The amount of coins you can earn, compared with how many you need to buy items, is geared to heavily persuade you to spend money. Why do you need coins? Well, remember those robots? Aside from the first two, you must spend coins to unlock more. The slots for having more than one robot at a time? Coins. That great Intergalactic Odyssey mode? Coins. Batteries for the robots? Coins. Crystals for the robots? Coins. Want to continue your game after losing all your lives? Coins. The game does give you a handful of free coins to start out with and more for ‘liking’ the game on Facebook, but not enough to unlock anything. For example, ‘liking’ the game on Facebook earns you a measly 750 coins, when even unlocking the main, Odyssey mode requires 5000 coins, which is a lot, especially for players who may not be that good at the game and might only unlock a few coins per play. It seems really wrong that they actually charge you to buy the game, then expect you to spend a small fortune unlocking content that you would expect to be included for the price. Why not structure the game like this: Charge twice as much for the initial purchase, have the robots unlocked as you get further on the Odyssey, and only charge coins for the crystals and maybe one or two bonus items. That would be much fairer to customers. While I am complaining, the decision to use EA’s Origin service for achievements instead of Game Center is baffling. Aside from that, the game is brilliant. 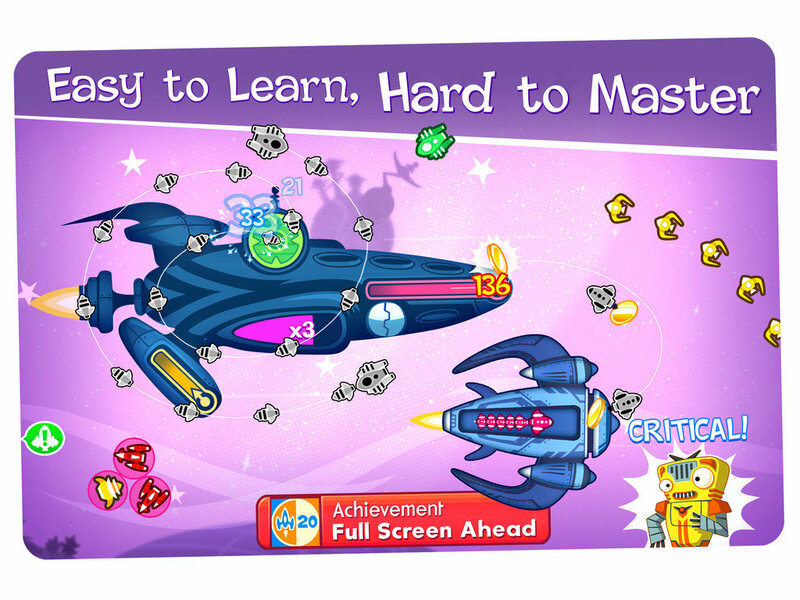 Supremely playable, full of ideas and constantly delighting, Flight Control Rocket is a charming and satisfying puzzle game. The graphics are lovely, the music excellent, and there are plenty of modes and gameplay options to get your teeth into, and the addition of the robots is a good one. Overall, a really good game that is spoiled somewhat by worrying elements of greed that prevent you from really falling in love with it. This review originally appeared on The Smartphone App Review (March 16, 2012). The Smartphone App Review provides app reviews for numerous smartphone and tablet platforms including iOS, Android and Windows 7. PLEASE NOTE: ALL REVIEWS POSTED IN CONJUNCTION WITH THIS SITE WERE DONE BEFORE THEY SWITCHED TO A PAID MODEL AND WERE NOT IN CONFLICT WITH O.A.T.S. GUIDELINES.